Unwind after a day of adventure in our sophisticated Queen + Loft chalets, which are thoughtfully appointed with refined Western decor, gas-lit fireplaces, classic Pendleton bedding and handmade furniture and art from local suppliers. Stunning sunset views of the Grand Tetons and our ranch meadows provide an unforgettable backdrop during your stay. 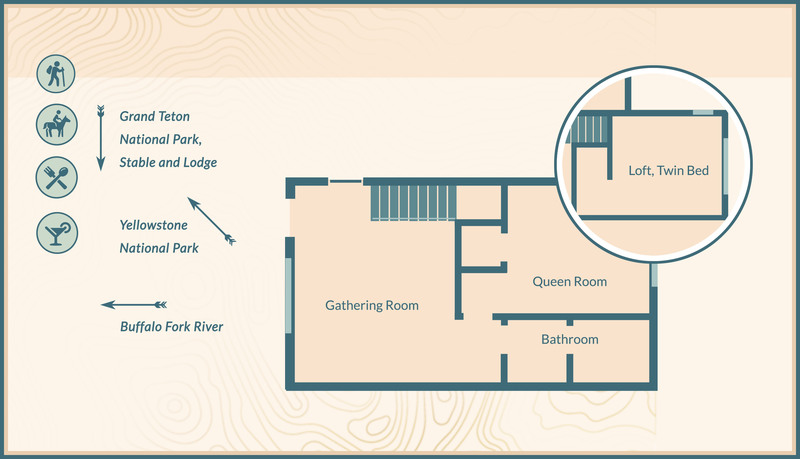 This chalet room offers expansive private space for families and groups with a spacious gathering room that features grand windows, vaulted ceilings and a large covered patio. Our newly-built chalet buildings have a breakout configuration and are available in multiple arrangements to fit the size of your group. 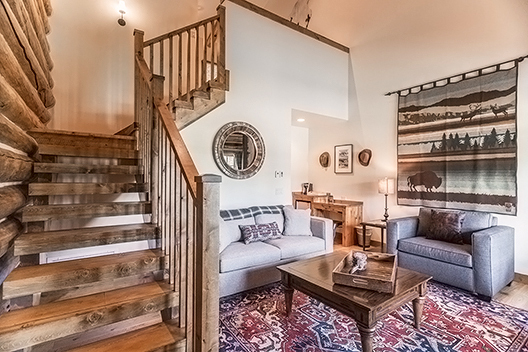 Each features the luxurious amenities and hand-selected decor that have made our cabins celebrated favorites with locals and far-flung travelers alike. 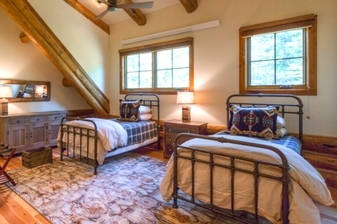 Our Queen + Loft chalet configuration can sleep up to six total. This configuration features one queen room and a loft with two twin beds. A queen sofa in the living room can sleep an additional two people, up to six total. 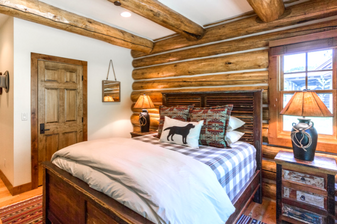 Rustic luxury awaits in our strikingly-designed King chalet suite. Experience Western hospitality at its finest with up to 8 guests. Retreat to our beloved classic 1 and 2 room cabins with modern amenities.